A western view of missions can be to try to fill an apparent need, while not realizing that a difference in culture creates a difference in need. Carrie, Jane, and Jenn discuss how one particular thing we tend to view as a lack is often seen as wealth within Ghanaian communities. You just might be surprised. Our privileged position is not just about our birthplace or freedom. No matter where we live, or how much or little we have, we are privileged people. Join Jenn Wagar and Jane Roach who recently visited Ghana in West Africa, as they discuss the privileged mentality with Carrie Webb. Jane Roach, who recently visited Ghana with Jenn Wagar joins us to discuss their African adventure, and how it all started off with a literal series of unfortunate events. Join us as we explore the lessons learned along the way. In Acts 5 we see miracles taking place and the number of followers of Jesus grow, and in opposition to the religious leaders of the time, the apostles stood up for their faith and teaching because they knew who their boss was. Join Jenn and Carrie as we explore together the latter part of Acts 5 this week on New Every Day. 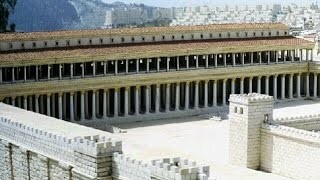 As we return to the book of Acts, we dig deeper into a famous scene as we explore what Jesus' apostles did on Solomon's Porch, and how it contrasted the teachings of the Pharisees. As we continue our trip home to Canada, we contemplate why we chose to travel to Tennessee in the first place: to find God in nature. Whether you see God in natural surroundings, city streets, or just that cozy moment with your hands wrapped around a cup of hot coffee, we hope you find times of refreshing with God. As we continue driving toward home, we discuss "rocket prayers"--how God hears and answers even our quick little prayers. As we look back on our great American experience, we realize God answered our prayers along the way. From meeting up with Canadian friends in Nashville to catching up with people we've never met over lunch; God answers prayers. On our way to Nashville, we stopped at Great Smoky Mountains National Park in Tennessee and learned a lot from "Ranger Dave" during his historical talk. This week we'll discuss some of the things we learned by asking someone who knows the answers and what the answers mean. On our way to Nashville, we encountered something interesting: the US Presidential election! We'll discuss our role as Christians, and share some of the conversations we've had along the way as we ask Americans why they voted for Mr. Trump. 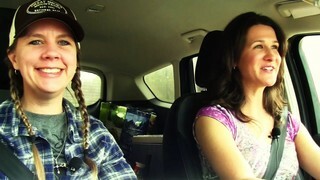 Jenn and Carrie continue their travels, now on their way to Nashville. Along the way they encountered some big name places that didn't live up to their expectations of the name. Let's explore how the Church--who carry the Name of Jesus--can leave people feeling the same way. 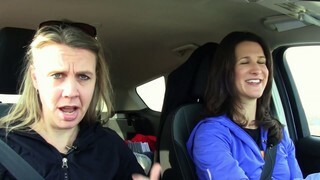 Jenn and Carrie are on another road trip adventure and have traveled to Kentucky to visit the Ark Encounter--a life-sized replica of Noah's Ark which is setup as a museum--and this week they share what they've learned by touring Noah's Ark. Join us for the must-see wrap up of our Tell A Lie And You'll Die series. In the final episode of the series, we'll study the Word of God and learn what God is trying to show us with these Scriptures that tell of people who died after lying to God. A wonderful tool when studying Scripture is to compare multiple translations, and as we visit Acts 5 once again, we'll review it from the New Living Translation. This week we discuss how lying leads to an unhealthy fear of being found out. As we look at the story of Annanias and Saphira again this week, we discuss our desire for others to accept and love us, and how we tend to fall to embellishment--a form of lying--in order to gain that acceptance and love. 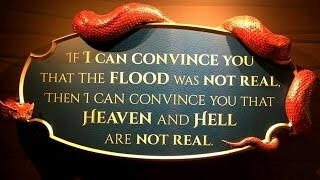 God takes lying seriously because of the damage it can do. This week we visit Acts 5 for the story of Annanias and Saphira: The couple who lied to Peter and immediately died. Let us seek after an honest tongue. In the final episode of our Parable of The Sower series, we share how to cultivate the good soil and raise a healthy crop... and what it all means. The thing about weeds is that they can block our ability to see Jesus. They choke off our roots, and affect our peace by causing us to worry. This week, we continue from the road in our Parable of The Sower series. In the third part of our Parable of the Sower series, we quickly review what we've learned so far, and discuss how the rocky ground affects the roots of a fruitful tree. In Part 2 of our Parable of the Sower series, we explore the beaten down path; the trodden soil. Perhaps there is someone in your life who never seems to sprout any plants from the seeds you try to sow. This week we will discuss the cause of infertile metaphorical soil, and what it takes to start seeing the plants grow. Jenn Wagar has returned from camp, and joins Carrie Webb this week as we begin our study of Matthew 13; the Parable of the Sower. Erin Hatton and Emily Riley join us again this week to continue our two-part "Family Matters" series. This week we'll discuss how putting yourself first can actually be good for your kids. 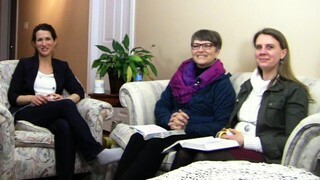 Carrie Webb is joined this week by Erin Hatton and Emily Riley. They'll discuss how becoming a parent has changed their lives, and explore the expectations society puts on first time moms. As we continue our 6 in 16 trip, let's discuss what it means to cultivate the presence of The Lord, and what happens when we do... or don't. James and Shelly join Jenn and Carrie again this week as our adventure begins: visiting six great lakes in just 16 hours! How did planning for our adventure help make sure of a positive outcome? Lets talk about how turning others' mistakes into lessons can help us along the way. This week we continue in the book of Acts and we'll check out how the disciples worshiped God, and discuss the various ingredients in what Jenn calls "The Worship Sandwich". What If You Get In Trouble For Talking About Jesus? In Acts 4, Peter and John face the backlash of the Sadducees after healing a man in Jesus' name. This week we discuss how these apostles handled it, and how they responded by expressing their faith in Jesus with authority. After the lame beggar was healed, we contemplate not just the miracle, but the miracle worker, and explore how He brings times of refreshing as we pursue a godly life. As we return to the book of Acts, we explore Peter and John's reaction to the lame beggar. They said something unexpected to him before healing him through the power of Jesus' name. Let's explore the scene together and see how this passage can be applied to our walk with the Lord some 2,000 years later. Jared Clarke joins us for the final episode in our series focused on camp, and this week we discuss working at camp as a missionary trip, and how God uses camp to encourage and grow the faith of those who participate as camp staff. Jared Clarke (President of the Manitoba Camping Association) returns for a second week to discuss the value of camp, why even a coffee shop chain would use camp as a way to help kids, boosting their self-worth, and why it's important that non-Christian kids come to camp. Jared Clarke (President of the Manitoba Camping Association) joins Jenn and Carrie to discuss the impact camp programs have on young lives, even beyond the actual week at camp. Have you ever made a decision that you knew opposed what God was directing you to do, but you felt it was the wise thing to do? This week, Jenn and Shelly discuss why being wise in our own eyes is unlikely to lead to obedience. This week, we learn from example. From Jesus, to siblings, to helping the needy and observing the behavior of chickens. Join Jenn, James and Shelly as they discuss what it means to honor and prefer others. God gave us a mind capable of planning, and there are those of us who like to plan our days meticulously. Guests James Chapman and Shelly Desilva join Jenn to discuss how if we hold those plans loosely--be willing to change them at a moment's notice--we will encounter adventures that life, friends, and even God have in store for us. The Adventure Begins - Part 4. When J. R. R. Tolkien's character, Bilbo Baggins was approached by Gandalf in The Hobbit, he initially didn't want to step outside his comfort zone. But by answering the call, he got to go on the greatest adventure of his life. We review how the disciples of Jesus answered the call to build the church, and how, like them and the fictional Baggins, we may need to leave some our comfort and security behind in order to pursue the adventure Jesus has for us. The Adventure Begins - Part 3. Jesus promised the Holy Spirit to the disciples to give them the power to complete their mission. Let's discuss what it was like for when this power came to them.